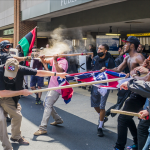 CHARLOTTESVILLE, Va. (AP) – A panel of Charlottesville community members has been chosen to make recommendations about how to spend money raised in the aftermath of a white nationalist rally. WCAV-TV reports the nine-person committee that will review grant applications made to the Heal Charlottesville Fund is made up of community leaders, entrepreneurs and a high school student. The fund was raised from thousands of donations that came in after the August “Unite the Right” rally. A woman was killed when a car drove into a crowd of peaceful counterprotesters the day of the rally, and dozens more were injured. According to the fund’s website, the money will be used to help injured victims, provide trauma counseling services for the community and address the impacts of structural racism.